Enjoy an unforgettable ride on a camel through the jungle and the beautiful beaches of the Mexican Caribbean. 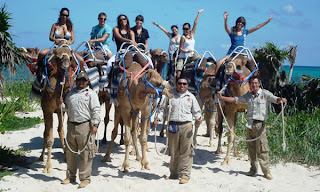 -For guests coming from Cozumel, ferry transportation is not included. -From Monday to Saturday at 9 am, 12 pm and 3 pm. -For those who come from Cancun, the pick up point is at your hotel at 7:40 am,10:40 am or 1:40 pm. 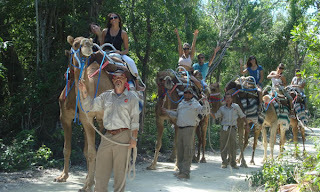 -For those who come from the Riviera Maya, the pick up point is at your hotel at 7 am, 10 am or 1 pm. 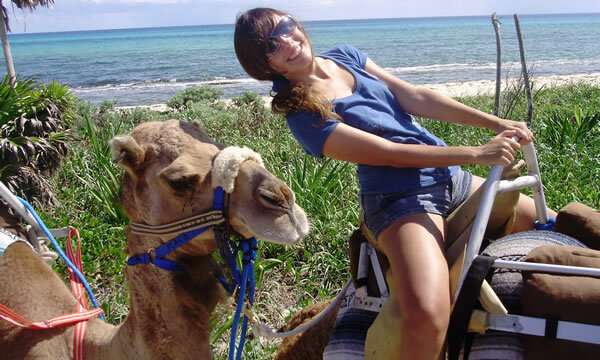 -The pick-up point for guests coming from Cozumel is Plaza Playacar in Playa del Carmen (ferry from Cozumel to Playa del Carmen is not included). -Participants must be at least 10 years old.